Gallery is closed Sunday and Monday. 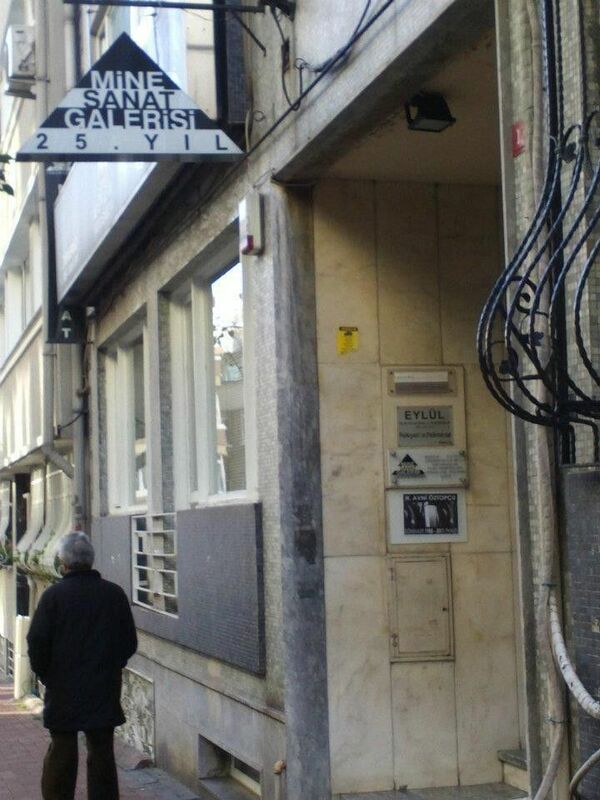 Mine Art Gallery created the infrastructure of the idea of being a pioneer on contemporary art in 1983, Istanbul’s Kadikoy district and then, formally started activities in its first gallery in Altiyol, Kusdili avenue. 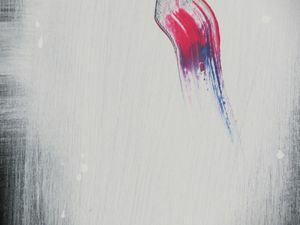 The works of Adnan COKER, Mustafa ATA, Serhat KIRAZ, Zekai ORMANCI, Yusuf TAKTAK and Nur KOCAK who supported the establishment of the gallery with their idea, have generated the first exhibition of the gallery. It was taken over the task of filling the lack of a contemporary art gallery in the Anatolian side of the Istanbul with the prefence of this region for the establishment of the gallery. In fact, the gallery left its place in Altiyol and continued its activities with joint protect Architect Ahmet Uysal from Kiziltoprak in 1989. Starting from 1991, a three-storey buiding’s first floor has evaluated as an exhibition place, second floor as for panel and art chat options and the third floor as art show. Finally, it continued its activities in Baghdad Avenue, Ogun Street with two branches. Mine Art Gallery has been offering alternative areas to art lovers with its solo and group exhibitons for years. İt contributes the improvement of “Contemporary Art” through the participation of fairs and events, dia screening organizations, art talks and with its activities on performance art. In addition to that it provides consultancy on conscious art collector. 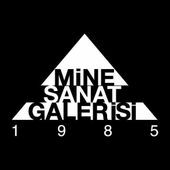 Mine Sanat has offered its new gallery place to the artist and art lovers in Istanbul, Nisantası, November 2008. The first gallery in the Baghdad Street, Ogun Street, aimed to evaluate as for a showroom and as an alternative place for the young artists. Since 2009, the gallery has focused on activities out of Istanbul. Insipe of the passive effect of season, gallery tried to find an alternatif new place and decided in Bodrum. In 2005 and 2006, İt organized 18th and 19th summer exhibitions ,two seasons in a row, under name of “summer exhibitions” and solo exhibiton of Sinan Demirtaş in 2006, a place allocated by Bodrum Turgut Reis D-Marin(?). 2012 summer season, it began to develop summer-winter group and solo exhibitions,workshops, art education in old oilhouse in Yalikavak Pal Marina which is converted to an art space. Along with these activities carried out in our two gallery, we started publish an art magazine named CAGDAS1985. This magazine contains texts about exhibition of that month, interviews with artists and collectors. This art publications are sended free to the adresses of all art readers and also shared in digital area. Mine Art Gallery is carrying on its studies in the Anatolian side of Istanbul, is in the limelight of art lovers until the 1980s. Considering the situation opening galleries in Istanbul which are closing without showing continuity, the importance of the success of Mrs Gulener that I witnessed her faith and selfless approach on contemporary art becomes even more important. Quality of artist supported by gallery also emphasizes Mrs. Gulener’s contribution to development of Modern Art in Turkey. With an experience of 20 years as an art gallery owner, Mine Gülener has kept the gallery at a certain level and manage to gather an ever enriching team every year. On top of this, she managed to create an “Gallery of Istanbul” out of a start-up focus merely on cultural activities on the asian part of the city.